It's been found out that Myriad Alien Dalvik, service on which all Android applications run on Jolla, sets Jolla to use Google's DNS server 8.8.8.8 in Android environment. This DNS is in use for all Android applications connecting to the internet, including Browsers, SoMe Apps (fb, twitter, whatsapp etc...) and any other applications. This means that every URL you send via an Android app is first sent to Google. 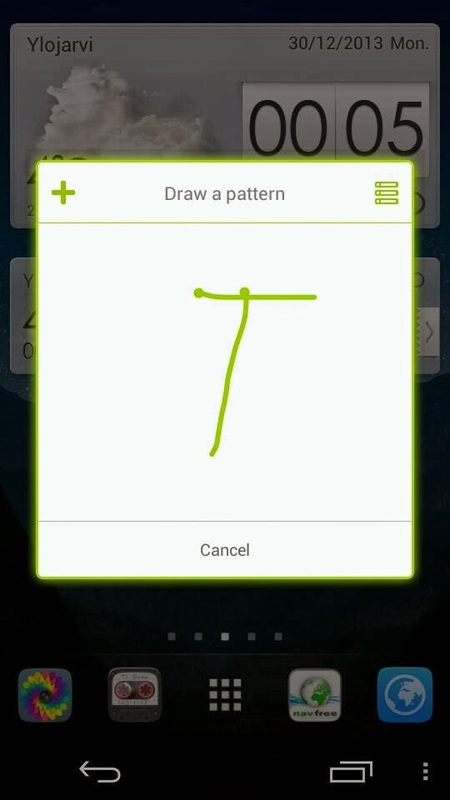 This doesn't happen only on Alien Dalvik - It's normal in all Android environments. Android is Google's property. A lot of Jolla users have installed Android support (myself included) without knowing this - but here we have another great example of the OpenSource ideology: This was discovered, and now the info is spreading fast through the community. Those who don't want to send their every "net step" via Google have exactly two options: Use Sailfish Browser (in a network not using Google's DNS) or hack the Alien Dalvik (to use a different DNS, in a network likewise). Personally I'm using a lot of Google's services, knowing that they are profiling me all the time to show me the most attractive commercials. The world is full of people like me - 81% of all the smartphones in the world are Androids. Among Jolla owners, however, the percentage might be a lot smaller. Some people care. Knowledge is Power, and we can only hope for Google to use their huge "property" wisely. Users have been patient while waiting for new features to be released, but this finding in Alien Dalvik could cause some wishes for faster browser app updates - remains to be seen. 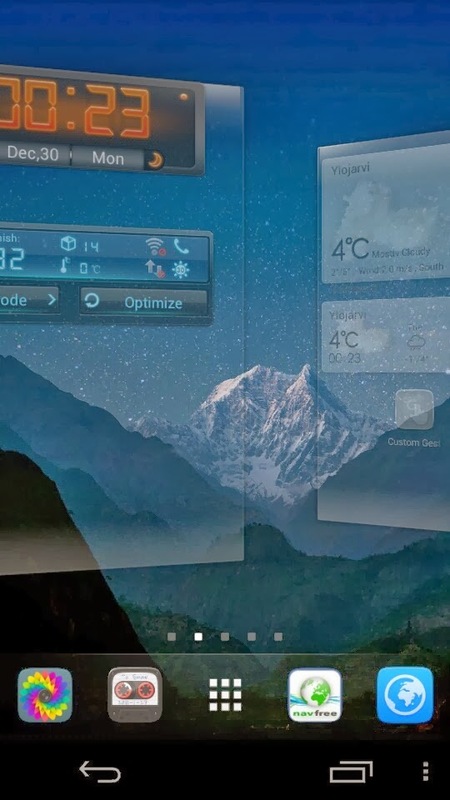 New features are promised during Q1/2014, but nobody knows what they are. 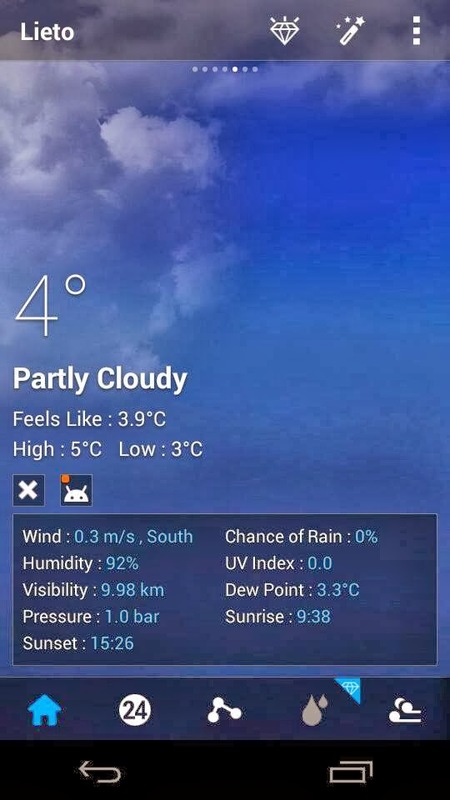 Other important updates are 4G/LTE support, NFC bug fix (should be available in couple of weeks) and Store related bugs (downloading / connection problems), just to name a few. So far, Jolla has released two larger updates (1st for bug fixes, 2nd for some features and more bugfixes) with unexpected speed. Jolla has managed to keep their community quite happy, considering the amount of things needed to be done. Most whining has been seen in Jolla's policy in informing their customers and a slow care response in common. 1. warning: There are too many images of my sofa. And too many images. 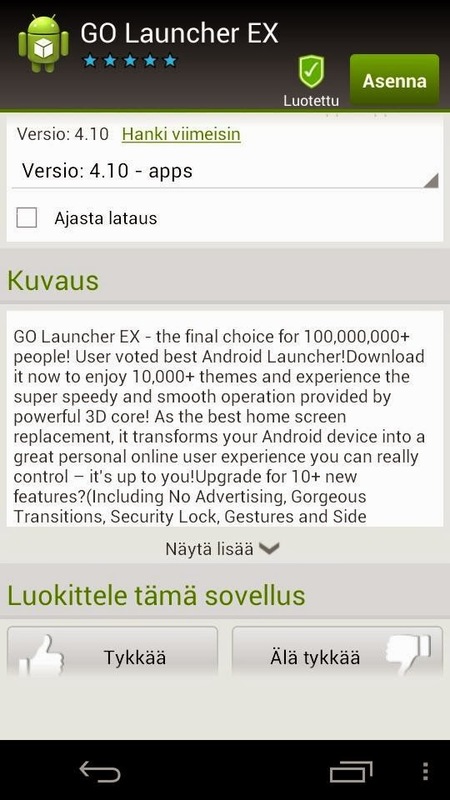 Go Launcher EX is a FULL launcher for Android apps. 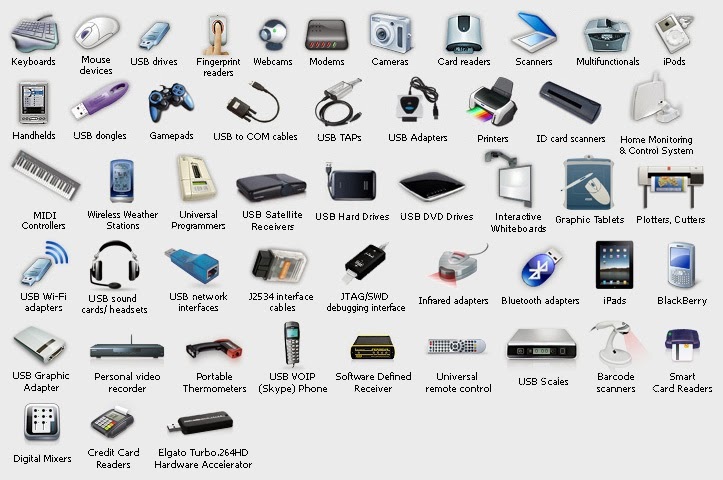 It actually looks like an Operating System UI (User Interface) in your eyes. 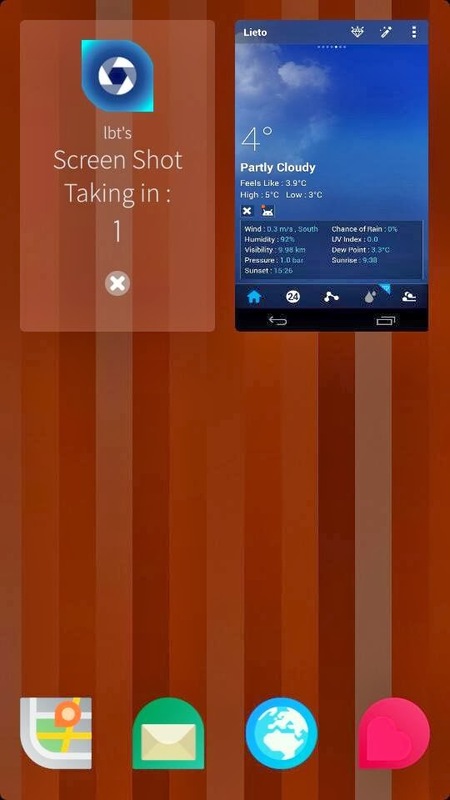 But looking at it from the Sailfish point of view, it's just one Android app running on our nice Alien Dalvik surface. 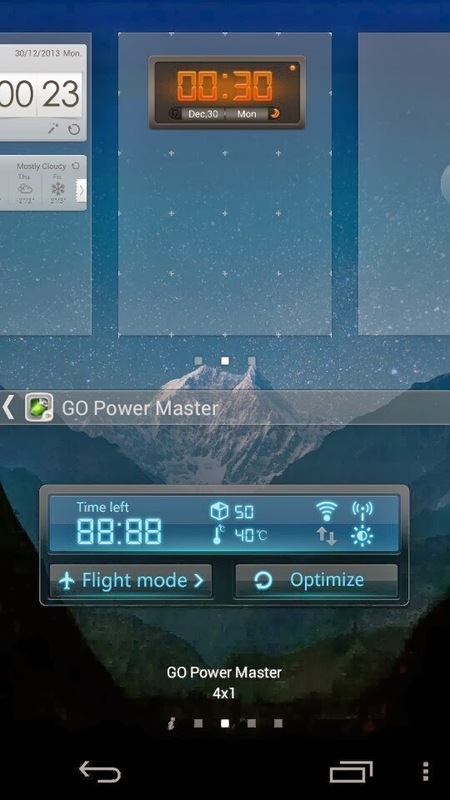 Go launcher EX can run on the baackground like any other Android App - in an active cover. In use, Go Launcer EX feels like an OS, but it can handle only the Android related content installed to your phone. For example it can't use Sailfish camera app - it needs an Android one. 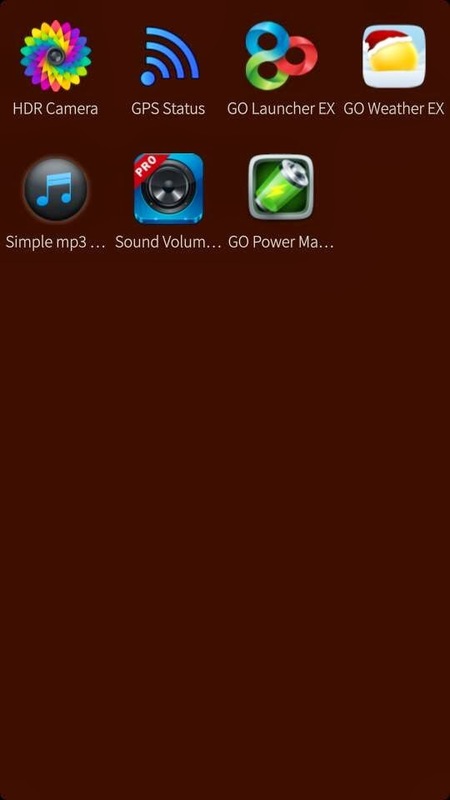 GO Launcer EX is a big app, so it uses some memory. During my tests it crashed the Aalien Dalvik several times, closing all my running Android apps - but I'm quite a heavy tester. Anyway, recommended to use simple preferences and minimum amount of screens / widgets etc...But in my overall experience, I'm about to hold on to this as long as Sailfish is in Beta stage. 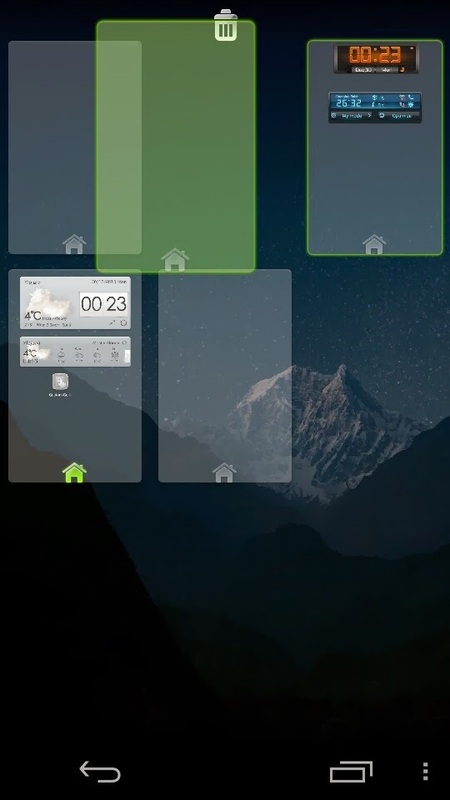 Install some widgets you might like. Close the store, go down to your Sailfish launcher screen. 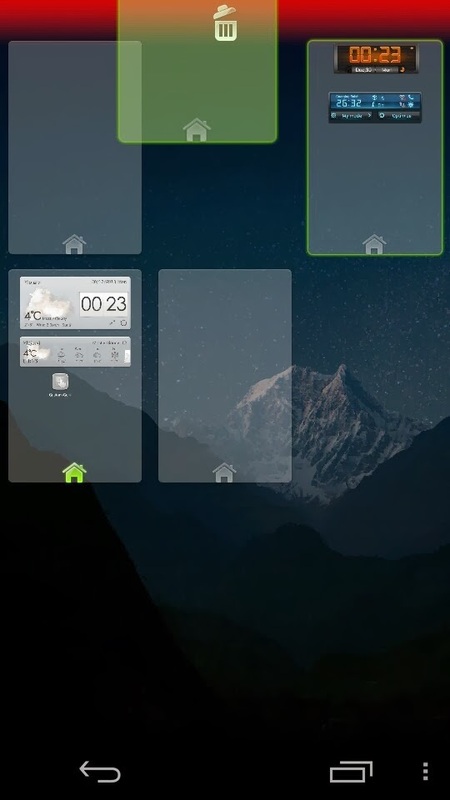 Tap the App "Go Launcher EX"
I didn't want any icons here, so I just pressed the virtual back button to return to my home screen. Next, I selected my wanted footer menu icons (HOLD on icon to move/throw away, HOLD on empty space between icons to add a new one). Some cropping, maybe adding a nice filter from below? Nope. Original is nice. After Save I'm back in Twitter, and there seems to be some more editing options. 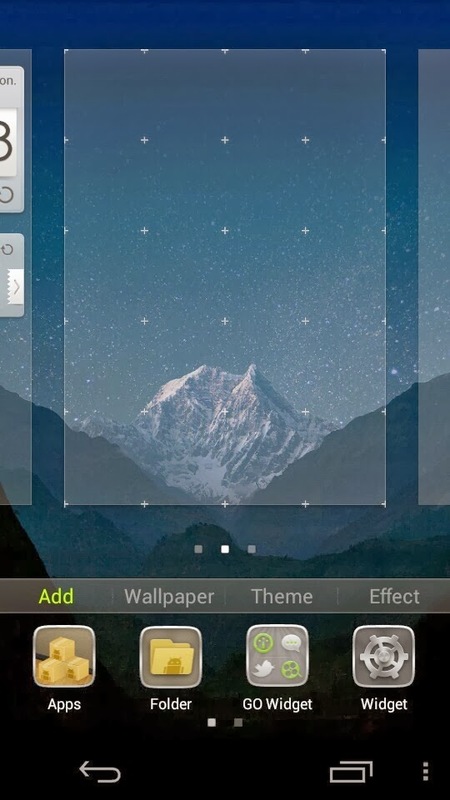 I recommend installing some Android Camera for full benefit of the GO Launcher EX Gallery. However, you don't need the whole launcher for sending photos to Twitter - for that, just the camera app is enough. 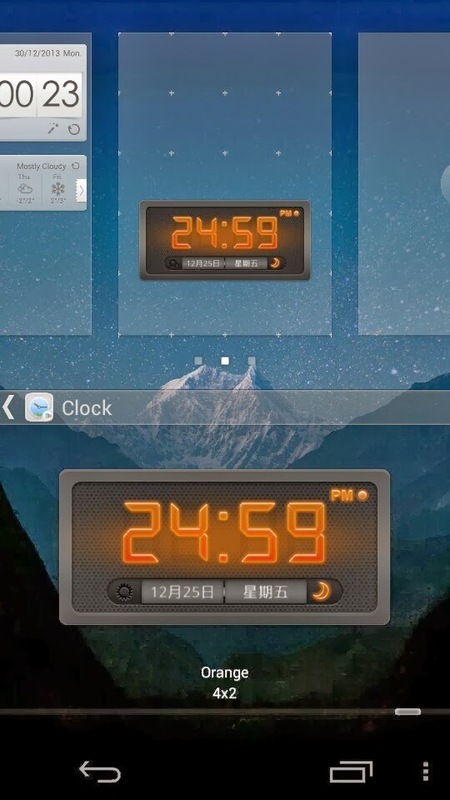 All Android Apps using a clock seems to show UTC time. I've tweaked my alien to the correct time zone, and both my navi + these widgets showed correct time when opened - but the time in widgets isn't updated until opened again. Beta - hopefully not worse. Facebook is not fully functional with the camera. Photos shared must be moved via gallery. Skype can use your camera, and it doesn't need either camera app. 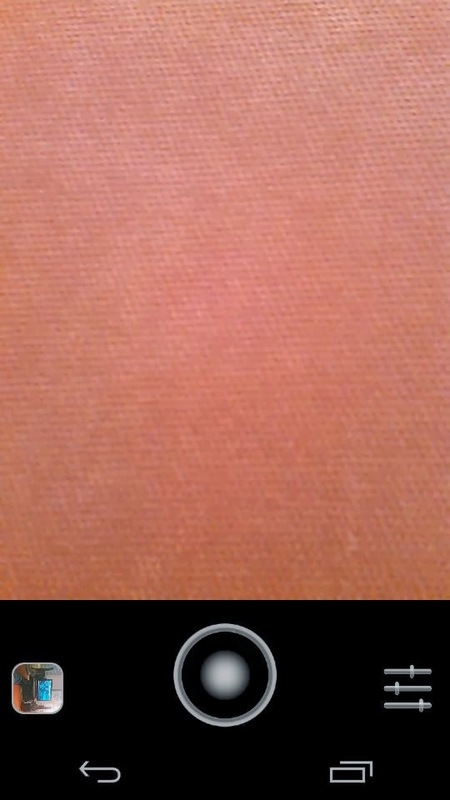 Even the image rotation is right with the front camera there - unlike in many other apps. Beta again. Important: Aptoide is not officially supported... own responsibilty... etc... you know. @JollaUSA @JollaHQ It was a temporary patch by an engineer followed by a massive overreaction, It will be reversed when better fix is made. Due to an unexpected turn that Jolla has locked their phone from OpenSource developers without warning them or discussing with them in advance, I'm stopping my contributing to the community. My contributing was done without benefits in a believe for having the most OpenSource favoured phone in the market. Besides that this is the last article I write, I'm pulling out of my ongoing bug tracking projects: One conserning location services, 2 conserning memory handling, one possibly related to i2c/NFC (the project wasn't started yet). My phone went OEM locked after Sailfish update (version 1.0.2.5) was installed. I'm ready to join the community again only after OpenSource policy is back, and I see a decent explanation of why the act was done the way it was (sudden, silent way and not e.g. offering a separate, OpenSource solution for those who would have liked it at the same time). OEM lock enables the manufacturer and 3rd parties to enter hidden code into system. For example in China, where the government has a strict policy to the community, phones sold there are usually OEM locked. No phone in the market is true OpenSource, and I didn't expect Jolla to be one either. There's always some closed, copyrighted code included, especially from the hardware part manufacturers, and this is somewhat acceptable. 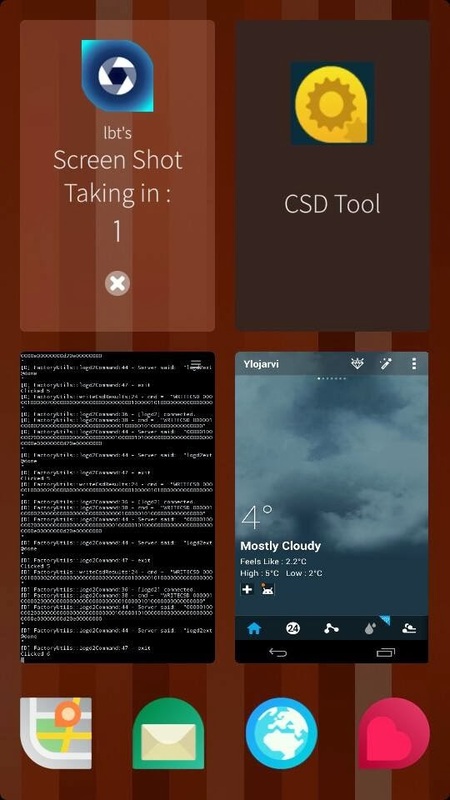 So far, Jolla was doing a great job having as much OpenSource code in their phone as possible. Sailfish OS itself remains as OpenSource - Jolla has included some of their own, copyrighted code into the phone, so the phone's operating system is partially OpenSource, partially closed. Thank's to all my readers, thanks to all Jolla owners contributing with me, and thanks for sharing the information (iltalehti.fi, talouselama.fi, mpc.fi, jollatides.com, jollasuomi.fi, taskumuro.com and all the other great forums). In my opinion, the best way to return the company to the desired level of OpenSource policy is to pause until it's seen again. Hope to see you soon. Edit 29-Dec at 20:35 UTC: Workaround was not only published quick by @bencord0, but it was also shared quickly by Harri Hakulinen, chief engineer at Jolla. 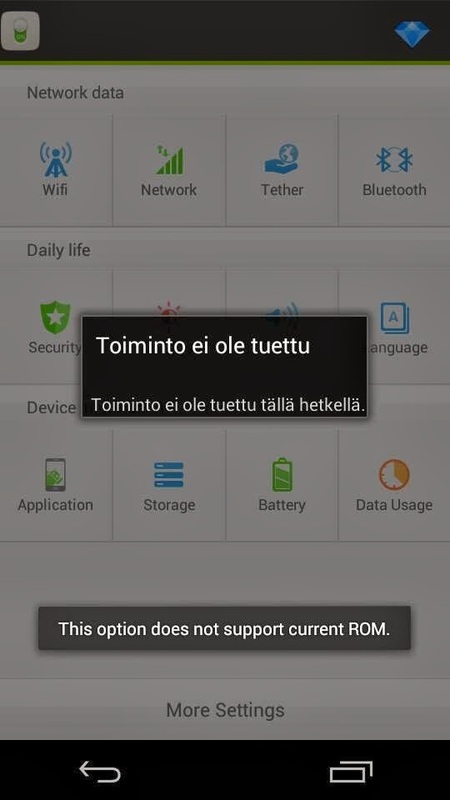 Jolla's phone stays OEM locked until the official solution for developers is presented, but booting the phone with your own images is possible again Not tested, so please confirm by comment when you've tried. In conclusion, I hope this brings some talented brains back to #jolla2gether. I'm not counting myself to this group, but I'll contribute again - mostly thanks to Jolla's fast reaction. HowTo: Settings --> About product --> pulley menu, check for updates. WLAN recommended. In short: This is the second larger update for Sailfish, enabling better hardware support for Android Apps (e.g. Skype video calls, both cameras), one direction synching with Google calendar and better certification support for MS Exhange. What we're still missing after this update are a fix to the NFC bug, turn-by turn navigation for native Here maps, and landscape mode in several apps. Camera does support all 4 orientations now. Camera: Improvements in exposure time and auto focus in low light conditions, improved switching from rear to front camera. Skype video calls are tested to work with both cameras. 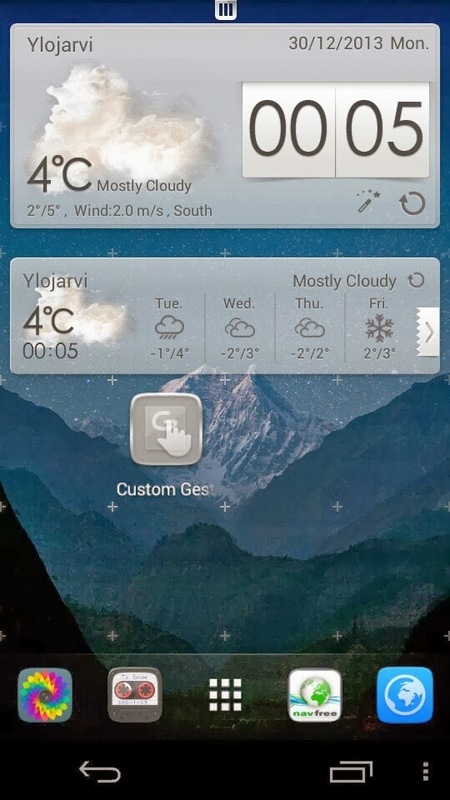 Navigation feature for Jolla's HERE Maps. No news about development. 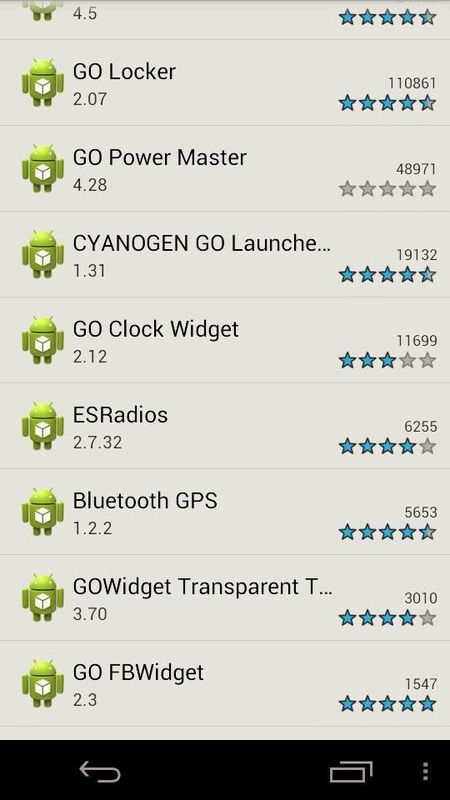 Several Android navigation apps are reported to work, some better, some worse. Shared calendar synch missing both in Google calendar and MS exchange. No news about development. Another update named by a lake, this time in same (language spoken in Lapland). The lake is located at Inari, Finland, and the name translates as "Southern lake" or "Base lake". Jolla has stated that they are using lakes of Finland in naming updates of Sailfish OS. 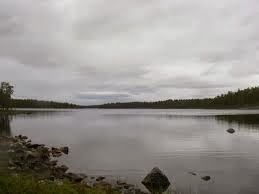 There are 187 888 lakes in Finland, including the small ones, so we might have more than few updates coming. Looking at the size of Maadâjarvi, we could speculate that this is a bigger update than the previous one - but I'm still holding my breath for Sailfish Saimaa! Map below shows the finnish name, "Tyvijärvi". Oh, and just for note: There are no real sailfishes in any lakes in Finland. @zlatkoe @SimoRuoho ETA for NFC hot fix is second week of January. This time we need to make sure that it really works .. Enable developer mode. Enable SSH connection. Enter or generate a new password (options are visible after SSH). Remember it and Save. After steps above, your phone has a new app called Terminal in the laucher view. 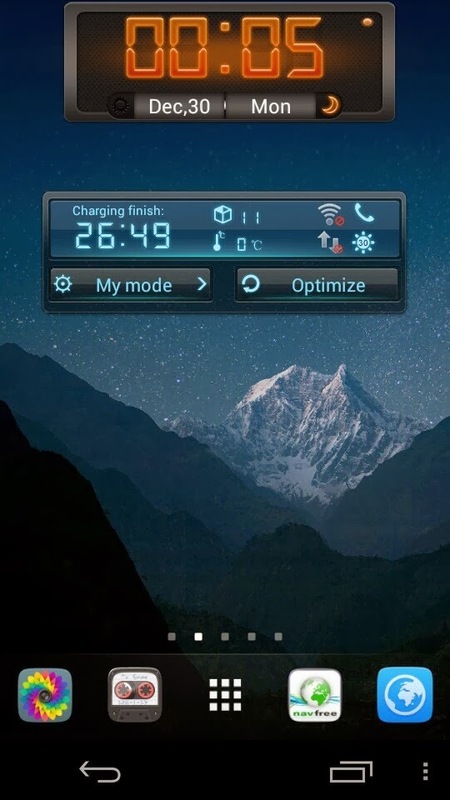 Via terminal you are able to give commands to the phone as a root user, and practically everything is possible there - even causing the phone not to start, so please be careful and doublecheck every letter you write there. Giving wrong commands might affect to the warranty of your phone. Terminal closes, and you have now a phone using less battery. Cconsumption is reduced by 2% per hour, giving you max 500h standby time. Your phone does not recognize The Other Half any more, so the ambience does not change when you attach it. Everything else is normal. Masking the service, like commanded above, prevents the phone to enable connection after reboot, so this offers a permanent fix until removed. (your password) <- note: invisible writing. Jolla confirms that you are the developer. Terminal closes, and your Jolla can communicate with The Other Half again. @SimoRuoho Stopping tohd.service should be otherwise ok, but if you do it you may need to start it again manually after update. According to several users, yes it is. I've been carefully following comments going on at forums, twitter and The User Report tool during the last 4 days. People are reporting better standby hours, and none of them has reported problems caused by this fix. However, keep in mind that you must be careful with what you do. 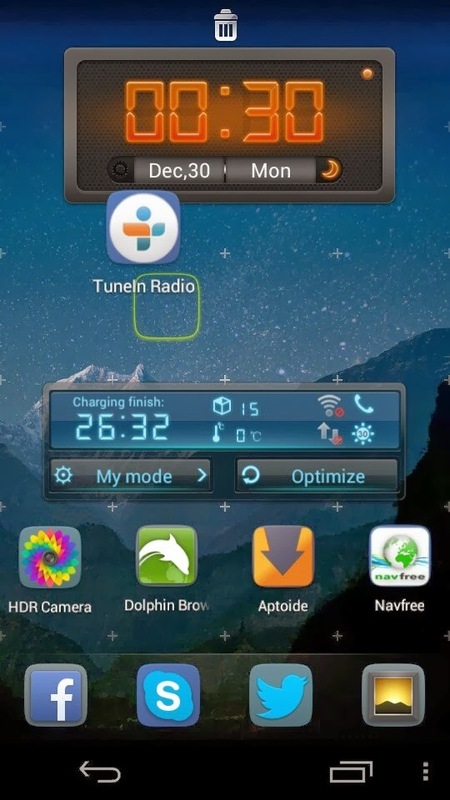 In the developer mode, wrong commands given can break your phone. 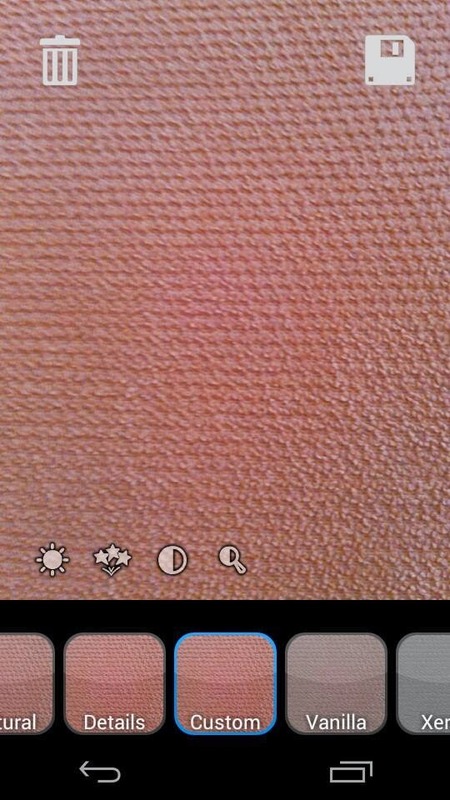 Move your mouse on top of the images to find out the invisible difference. In each of these greyscale images one pixel is colored. 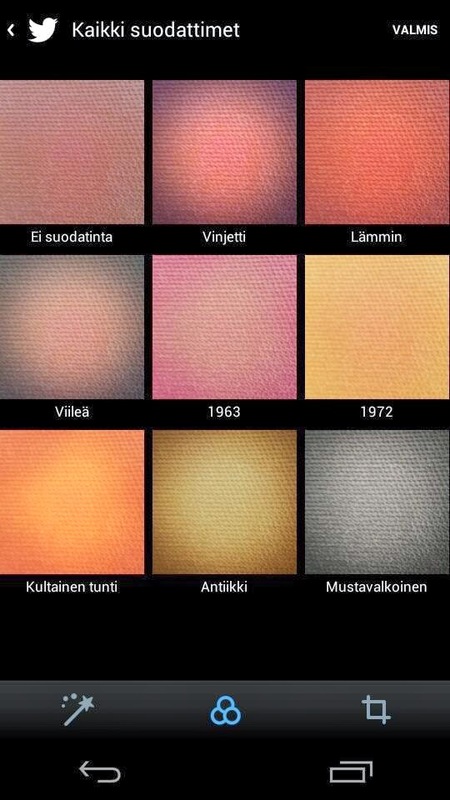 Jolla's automatic ambience creator finds the one, and makes it the text color instead of the (ugly) brown. 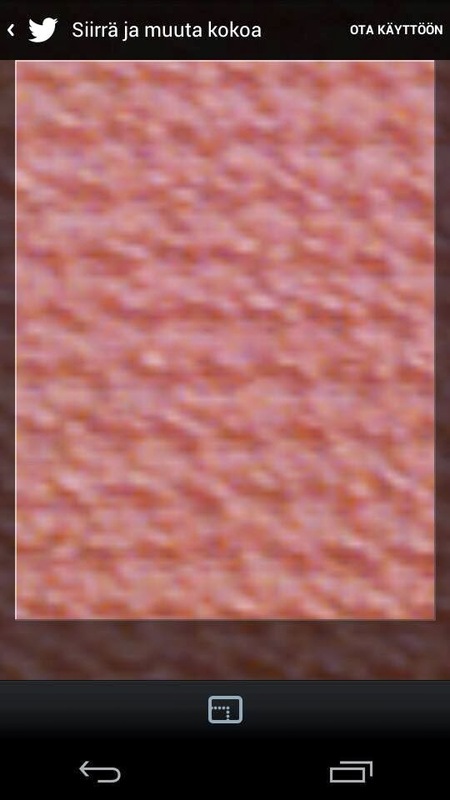 Brown is used by Jolla when no colors are found, or color tone differences are too low. 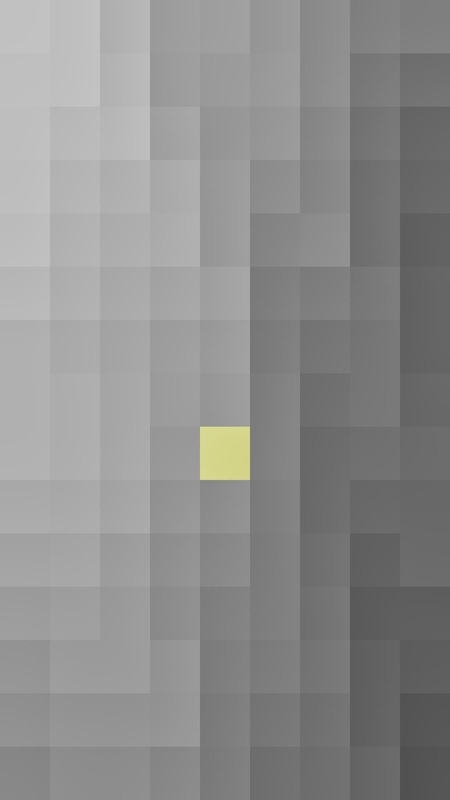 How to make your own ambience with desired color? Open an image with any good image manipulation program. Paint Shop Pro or Photoshop are great. Change any other properties, like ring tone etc. as you wish. Save (swipe left). It should be there now. 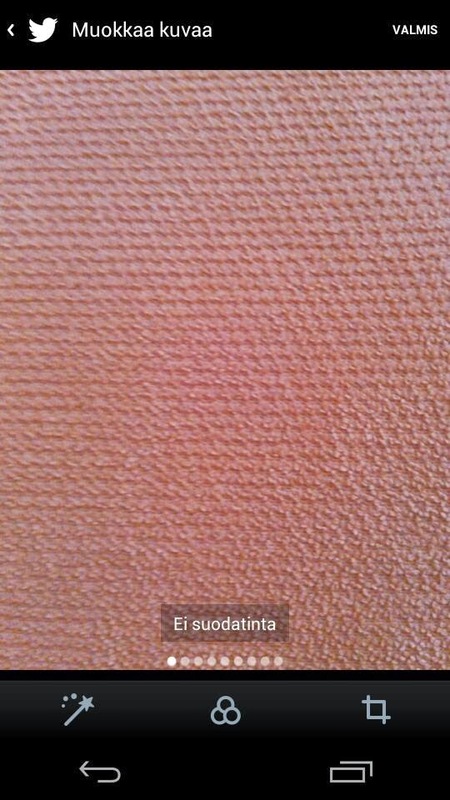 Click any small image above. Jolla's own Sailfish Browser does not support flash content, and there is no official support coming afaik. Adobe flash player installed by instruction here must be updated manually. Using an old version of Adobe Flash player might cause security issues. When writing this guide, latest official Android version is 11.1. For other operating systems, like Linux, version 11.2 is already published. Jolla does not officially support 3rd party stores, like Aptoide which is mentioned in this guide. Use 3rd party stores with your own risk. Go to Settings -> Transfers and click the downloaded packet. It should install to your phone. 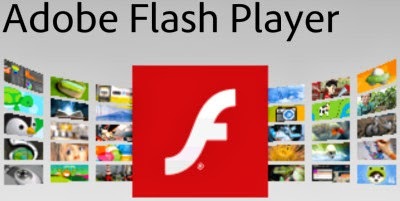 * Legal note: Distributing Adobe Flash player is prohibited elsewhere but in Adobe's own sites macromedia.com, adobe.com or via their official partners. For your own security, make sure you download the install packet fromtheir own web site (like the link above, including text http...macromedia.com/) in the very beginning of the address. If you find a similar apk from 3rd parties, please report it to Adobe. 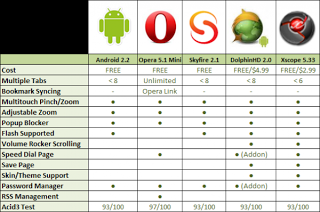 You need an Android web browser, as Adobe doesn't offer support for Sailfish. Any browser should do, but this is tested to work at least with Firefox. Simply start your Android browser and go to site including flash content. 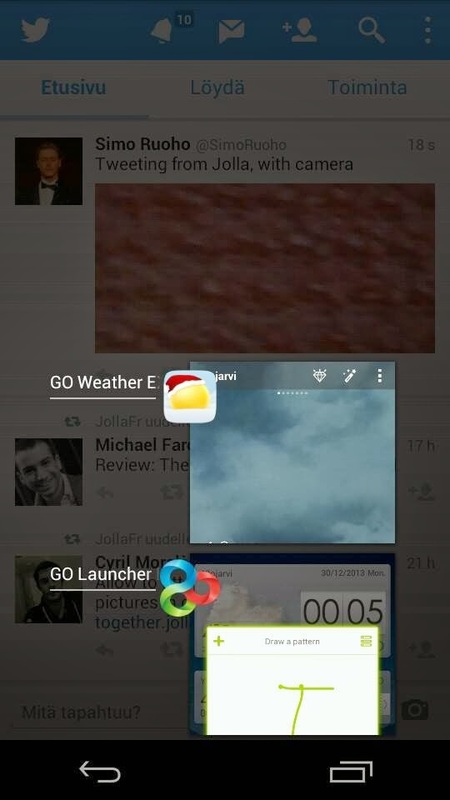 How to Install GO Launcher EX on Jolla, enabling better view on installed Android applications. Latest statement from JollaHQ: "Due to tech problems with shipping a number of pre-orders might be delayed. We sincerely apologize for this inconvenience!" Additional to that, about 2000 orders outside Finland & over 2500 orders in Finland are still pending with status "Paid"
Jolla has contacted their waiting customers nicely. Community seems to be forgiving for possible delays after the company's informing policy showed some undestanding towards customers. The new product is either very limited or very popular. First DNA store to run out of Jolla smartphones phones was the most popular one at Kamppi, Helsinki. 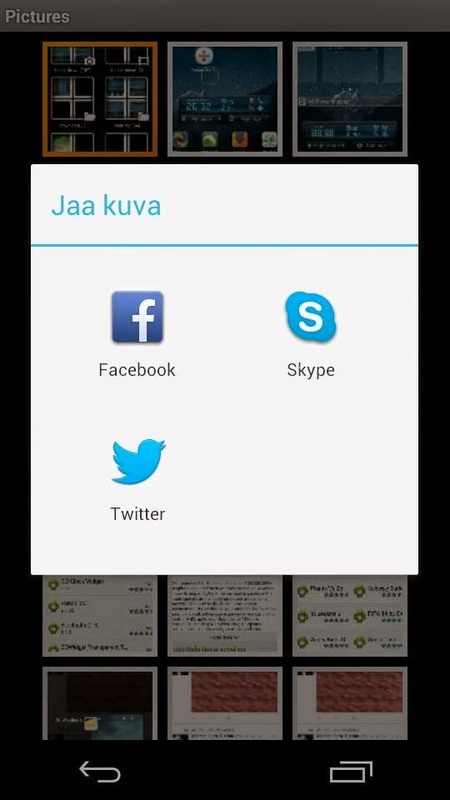 Finnish people who haven't orderd Jolla yet should now hurry up and find a DNA Shop to ensure having a new finnish phone for Christmas. Next shipment to the empty shops is expected to be delivered at Tuesday. No orders outside Finland allowed via DNA - Not even to Åland (part of Finland). Price for the phone in Finland is 399 EUR. Contracts are also possible. Phone is not SIM locked. Foreign customers are hoping for Jolla to start a new campaign or to enter their own country How about Åland? Jolla has plans to go wider in Europe, and enter China, next year. Shipping to outside Finland is starting. Yesterday 800 of these pre-orders were updated to "In picking" status, today the number has been growing. There are at least 4000 customers waiting for their new phones outside Finland. In additoin to that, most of the finnish 1st pre-order customers are still in the waiting queue, while 2nd wave customers in Finland are picking their phones. DNA shops have received only a limited amout of phones, but enough for all their shops in Finland. Some have been already sold to public, some are reserved for 2nd wave pre-order customers until Saturday morning. 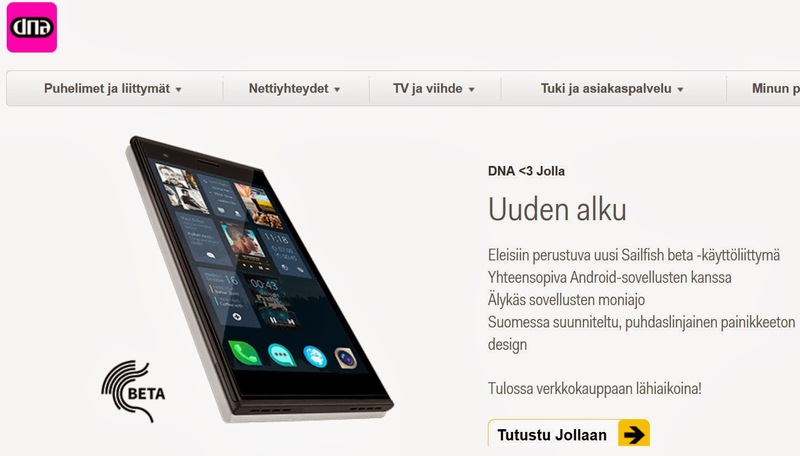 Jolla hasn't officially informed the amounts of orders or sales, nor how many phones are delivered to DNA. A longer while ago, the latest official statement of amounts was that pre-order campaigns have gathered about 20 000 interested customers in 136 countries. How many of these have actually ordered the phone is unknown, but by the information I've received from other customers, I carefully dare to estimate that Jolla has sold mre than 10 000 phones by now. Customers are busy tracking what's happening at the back door of Jolla, more than 250 orders are followed on an online worksheet. 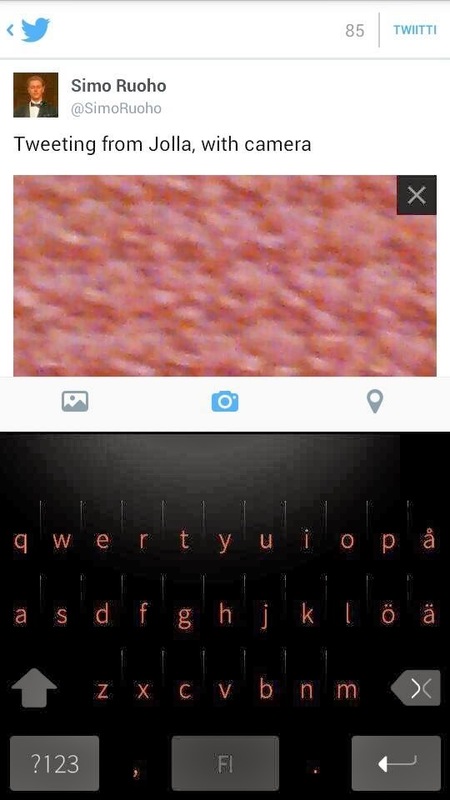 Only a Jolla community can do something like this! All first wave pre-order customers, both in Finland and outside Finland, haven't yet (10-Dec) received their phones, or tracking codes for the shipment. Some finnish first wave customers have the phone In Hand, many see it shipping at the moment. Jolla is currently shipping as many first wave phones as they can (each worker only has two hands here in Finland). @Florian_Si @JaarkDS @qrosh @HelinaT @SimoRuoho @JujuDHighlands EU shipments go out this week, please stay tuned. Thanks for your support. I personally understand that Jolla must prior things in Finland, as Finland is the only country with an operator agreement between DNA and Jolla, but I'd wish them to inform their customers better in this matter. Outside Finland, customers are obviously expected to be satisfied for "The First One - On My Ground". This has caused some whining and few ugly posts around the community, and not without a reason, as Jolla hasn't been totally open for their customers in each country and each pre-order wave. In my opinion, the whole mess could have been avoided with a simple, open minded message to all 1st and 2nd wave customers: "We are sorry, we can't ship all the Jollas in the true prority order, due to an important operator agreement in Finland. However, your Jolla is arriving in a time promised to you. Please have patience... Please contact... etc." As simple as that. Hopefully this is the future. @JujuDHighlands You will be the first ones to receive it on your home markets. Thanks for your patience. Well, I suppose that the community just hopes all the best for Jolla - this was a small mistake, compared to all possibile walls which a startup company might have run into. entering the mobile market. First wave customers are, however, getting their phones shipped before other 2nd wave customers outside Finland. In a way, they can be seen as the topic here state: "The First One - OMG"
Jolla smartphones will go on general sale in DNA Stores from 11 December. That is also the day when the 'second chance' pre-bookers can collect their phones if they have selected a DNA Store as the collection point. "At this point, only a limited number of phones will be available, but they will be shipped to DNA Stores all over Finland, and, in addition to pre-bookers, will be available to the general public, as well" says Cedric Kamtsan, DNA's Business Director in charge of the Jolla project. The first batch of Jolla phones went on sale at a launch event arranged by DNA in Helsinki at the end of November. At the launch event, DNA offered the fastest pre-bookers the opportunity to buy their phones among the first 450 owners of Jolla smartphones. Deliveries to all other 'first edition' pre-bookers are in full progress. Second phase pre-bookers from Finland can collect their phones from a DNA Store or by post from Jolla, according to where they have chosen the delivery in advance. Deliveries to second phase pre-bookers will begin on 11 December, both by post and from DNA Stores. Phones due for collection from DNA Stores will be held at the DNA Store selected by the customer until 13 December - byers will get an SMS confirmation today. Any phones not collected will be placed on general sale on Saturday 14 December, but pre-bookers will naturally have a chance to collect their phones, subject to availability. DNA has played an integral part in the product development and commercialisation of Jolla smartphones and is the operator with the exclusive right to sell Jolla phones in Finland during the launch phase. Jolla is powered by Sailfish OS, a truly open and distinct mobile operating system. 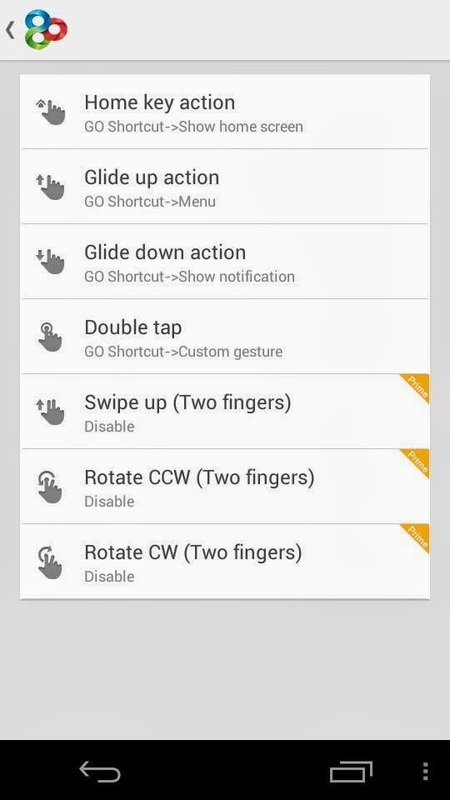 Navigate effortlessly with the gesture-based user interface and load the phone with top Android (TM) apps. More information on Jolla at www.jolla.com. DNA Ltd is a Finnish telecommunications company providing high-quality, state-of-the-art voice, data, and TV services to private customers and corporations. DNA’s 3G network reaches five million Finns and is constantly expanding, and the 4G networks are reaching new cities and urban areas all the time. In 2012, DNA recorded a turnover of EUR 769 million and an operating profit of EUR 56 million. DNA Ltd has more than 3 million mobile communications and fixed network customers. DNA and WELHO are registered trademarks of DNA Ltd. The Group includes also DNA Kauppa, the largest operator retail chain in Finland. For more information, please visit www.dna.fi. About Jolla: Jolla Ltd., headquartered in Helsinki, Finland, is developing mobile devices and the open operating system, Sailfish, based on the heritage of MeeGo project. In addition to its R&D sites in Helsinki and Tampere, Jolla has offices in Hong Kong. Please see jolla.com/press for further press and media materials. Could Jolla drop Beta sign with Sailfish Laadunjarvi? Important note: The release date of the next Sailfish OS, or its changelog is not officially informed by Jolla. Other updates are possible, and we might also see another release, either with less or more fixes. It's also common in an OpenSource community to walk several paths, developing several versions at the same time and compiling them together to make a new distribution (See the amount of different Linux distributions, image at right. Social media feeds missing some posts. - UPDATE: Navfree (Android app) reported to work better now. Navigation with open maps is finally possible, and the app can even be used offline. So, we have an update named by a lake. This name translates as "The lake of quality". Jolla has stated that they are using lakes of Finland in naming updates of Sailfish OS. There are 187 888 lakes in Finland, including the small ones, so we might have more than few updates coming. Looking at the size of Laadunjarvi, we could speculate that this is not a remarkable update - I'm holding my breath for Sailfish Saimaa ! However, having first changelog visible is something I wasn't expecting yet. Great work!